As much as I dearly love photographing people (and I do dearly love photographing people!) every photographer likes a change of pace. For me, that change of pace is made up of flowers. I love the creative search of color, line, shape, space, and how all of these combine to make a flower image expressive. Along the way of doing this, an interesting thing happens. Even though I am photographing flowers to take a break from photographing people, I end up photographing flowers as if they were people. Take this image of hydrangea. 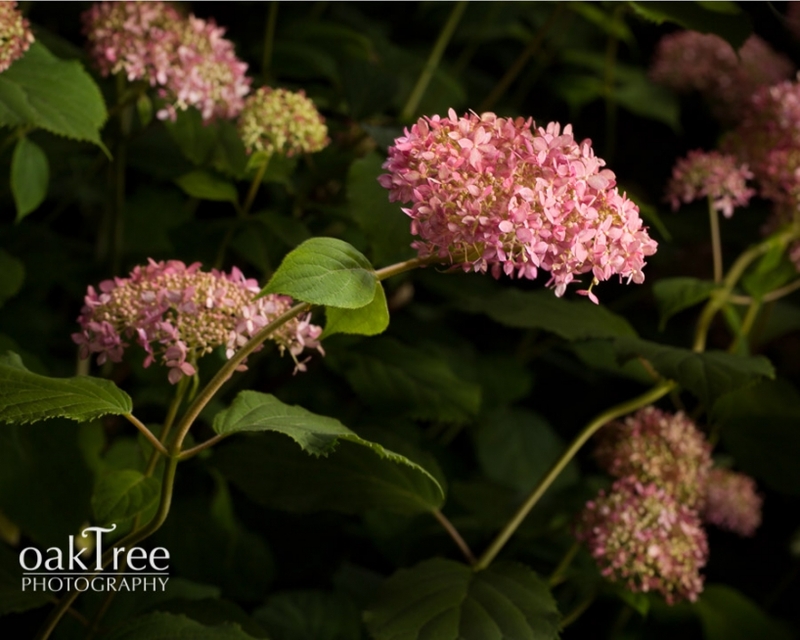 I planted them in front of my house, tended to them and watered them, and, when they were at their peak, I went out to them in the evening and created this image. As I was creating the image, I was thinking only of color, line, shape, and space. But afterwards, in viewing the image at my leisure, I saw the image…as a portrait. The larger, brighter hydrangea was a stand-in for a little boy, streaking like a comet. The smaller, dimmer hydrangeas were his family, around him like a constellation, marveling at his joy, proud in their love. Of course, maybe you see something altogether different in the image. Perhaps you don’t see a portrait at all. All of this imagining can be uncertain. But one thing is certain for sure—after photographing flowers, I am all the more in love with photographing people.